The Tory administration is leading Britain to disaster. They are unfit to govern and should go. Tonight, International Development Secretary, Priti Patel, was forced to resign after a series of maverick, reckless, unofficial ‘secret meetings’ in Israel which broke the ministerial code. Yesterday, Brexit Secretary, David Davis, failed to deliver 58 Brexit impact reports, as ordered by a binding vote of the Commons last week, claiming that they didn’t actually exist. Last week, Defence Secretary, Michael Fallon, was forced to step down after admitting that his behaviour had “fallen below the high standards” expected of a minister. Yesterday Foreign Secretary, Boris Johnson, wrongly claimed that a British woman currently in prison in Iran was there to ‘teach journalism’ – a stupid, careless gaff that could add five years to her prison sentence. Theresa May was a Remainer who became a Brexiter so she could become Prime Minister. Who knows if her heart is really for Remain or Leave, but for sure, her head isn’t in it at all. She has no control over events or her ministers, who can’t agree on Brexit or much else. According to insider reports, Mrs May and the Chancellor, Philip Hammond, aren’t even talking to each other. The Tories are falling apart. On Sunday Conservative MP Chris Pincher stepped down as a government whip after allegations about his behaviour. There is currently a Cabinet Office inquiry into the conduct of First Secretary of State Damian Green. Dover MP Charlie Elphicke, who denies wrongdoing, has been suspended from the party after “serious allegations” against him were referred to the police. Three other Conservative MPs who deny wrongdoing – Stephen Crabb, Dan Poulter and Daniel Kawczynski – have been referred to the party’s disciplinary committee after media allegations about their conduct. Labour and other parties are not immune from scandal – the political class is looking increasingly incapable. But it’s the Tories who are in charge, looking increasingly inept, and making a mess of our country and its future. 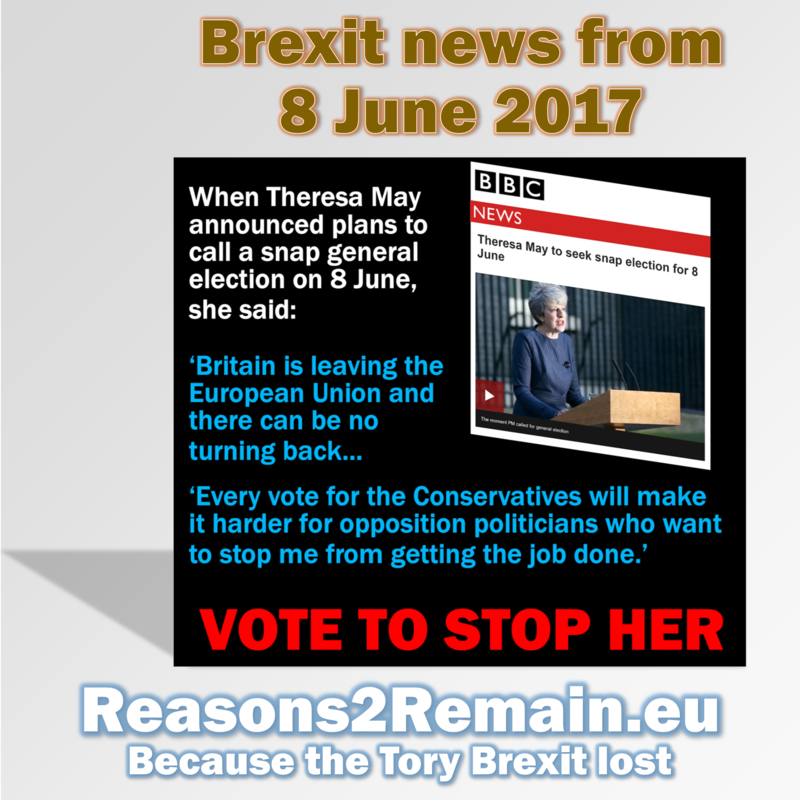 Theresa May did not win the snap General Election on 8 June. Nobody won. But it was Mrs May who lost her majority and, regardless, is carrying on with her destructive Brexit plans as if the election hadn’t happened. She is driven by the ideologues in her party who used to be on its periphery, and who former Prime Minister, John Major, described as ‘bastards’. 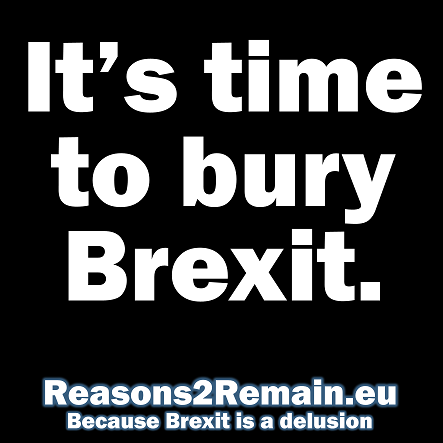 Mrs May does not have a mandate to take the country into the oblivion she is planning. The latest YouGov polls show that most voters now believe that the Brexit vote was wrong. Even hardened Brexters must now be questioning if the current administration could organise a back-street bazaar, let alone a Brexit that will change Britain forever. 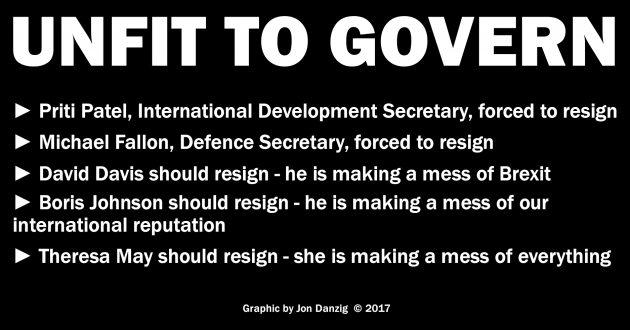 The Tory administration is unfit to govern. 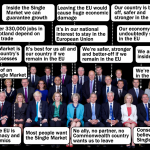 They are clinging onto power only for the survival of their party, but without any regard for us, ‘the people’, that Mrs May so often bleats about. 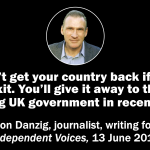 Whether you are for or against Brexit, nobody could be for this current ragbag of a government. If they don’t fall soon, they should go soon. Our country’s future is at stake. 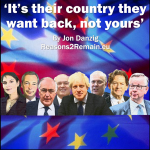 This entry was posted in Current Affairs, Democracy & Citizenship, Economics & Trade, Global & International, Law & Justice, Media & Communications, Politics & Public Policy, The EU and tagged Boris Johnson, brexit, Chris Pincher, Damian Green, European Union, Michael Fallon, Priti Patel, Rfael Behr, Theresa May. Bookmark the permalink. Next: Do we really understand the integration of Europe?